Twenty-seven-year old Violeta is “sort of” an Aries. It’s among the first things she tells you about herself – that she was born on the cusp of that star sign. She believes she was fated to a life of dualities. Pisces and Aries. Fire and Water. A dreamer and a do-er. A Mexican, and an American. Her father is from the U.S., and her mother is from Mexico. She was raised between cultures and countries. Growing up in both the Mexican border state of Baja California, and California, U.S.A.
Baja itself is a slim peninsula between the Pacific Ocean and the Gulf of California. 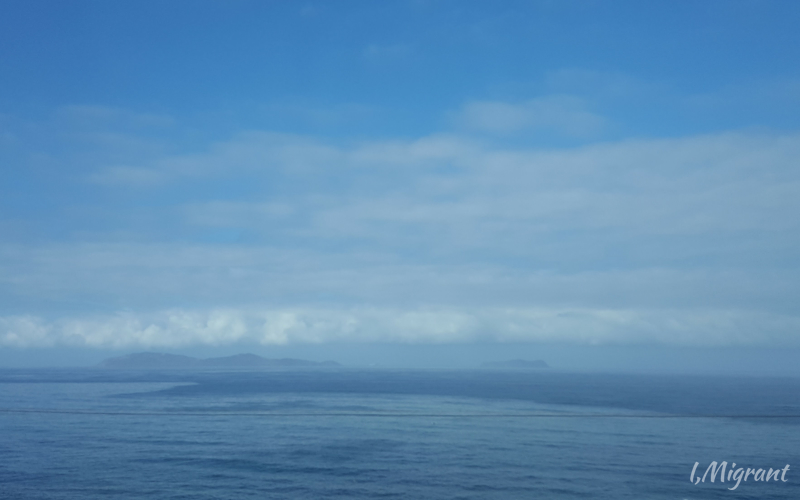 Surrounded by water on either side, residents say Baja is a world on its own. Treading a unique path, distinct from the U.S. or Mexico. Baja Peninsula separates the Pacific Ocean and the Gulf of California. As a strip of land surrounded by water, locals say it is “almost an island”. Violeta spends her days going back and forth across the border. 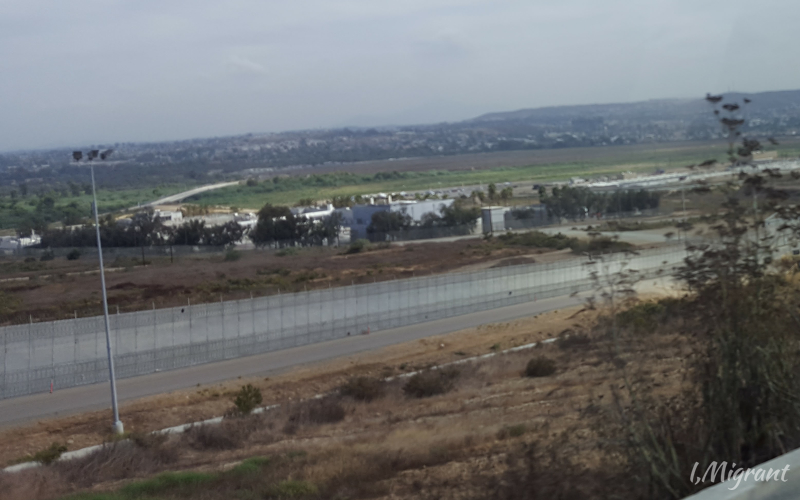 Between San Diego and Tijuana. She has homes on both sides of the wall, and jobs — yes, jobs — that are just as mobile. This particular morning, Violeta was working as a tour guide – meeting a small group of people in the U.S. to lead them into Mexico. It was early and her energy shone brighter than the overcast California dawn. She knew it was access not as easily available to many of her Mexican compatriots. She explained that the ‘commute’ was a simple one for those like her – the people who live “in between”. And walking, she said, was a faster and less troublesome way to get across. The concrete border wall between the U.S. and Mexico. San Diego on the top of the photo, and Baja on the bottom half. Roughly 63,000 people cross here every day. Once across, the difference was striking. The first impression of Tijuana was exactly as stereotypes paint it – rundown and grimy. But Tijuana was not the destination of Violeta’s group. She led the mixed bag of tourists into a 1970s VW Kombi – a charming retro van with benches along the sides for seats. No airconditioning, and no seatbelts. Passengers were greeted with shots of mezcal, and a short history of Baja. Welcome to Mexico. 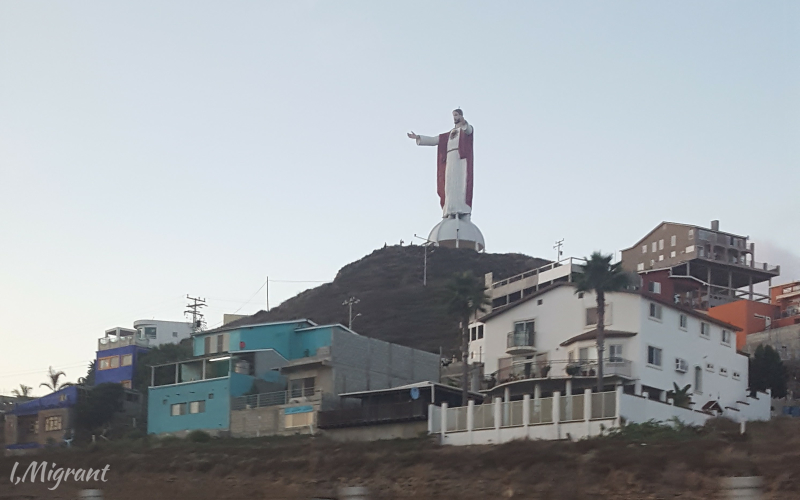 The “Giant Jesus” faces the Pacific Ocean on a hillside in Baja California, Mexico. After a half-hour’s scenic drive along the coast, the VW turned inland onto mostly unpaved roads without formal signposts. To a valley surrounded by mountains. The terrain was dry and desert-like. 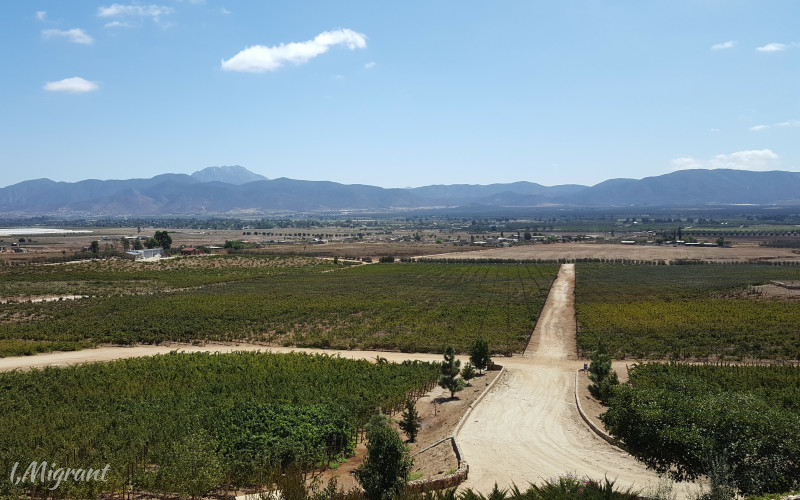 Not what might be initially expected of the destination – Mexico’s blossoming wine country. Valle de Guadalupe. With over 150 wineries run by locals known for their innovation. 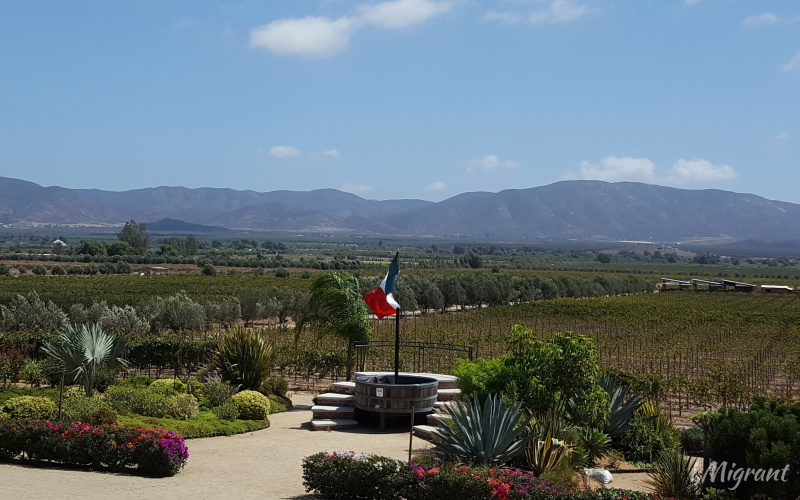 Growing grapes and making wine in Valle de Guadalupe was started by Russian immigrants in the early 1900s. They were escaping religious persecution in Tsarist Russia and purchased land from the Mexican government. Thirty years later, the government seized their land and Mexican citizens moved in. Violeta explained that despite the government’s actions, Baja was known as a “hosting community”. There was an indigenous population, and they had to make room for others. Chinese immigrants built the highway, and Haitians came as construction workers. Now, the valley is also host to grapes from different countries. France, Spain, Italy, Germany, and even Switzerland. 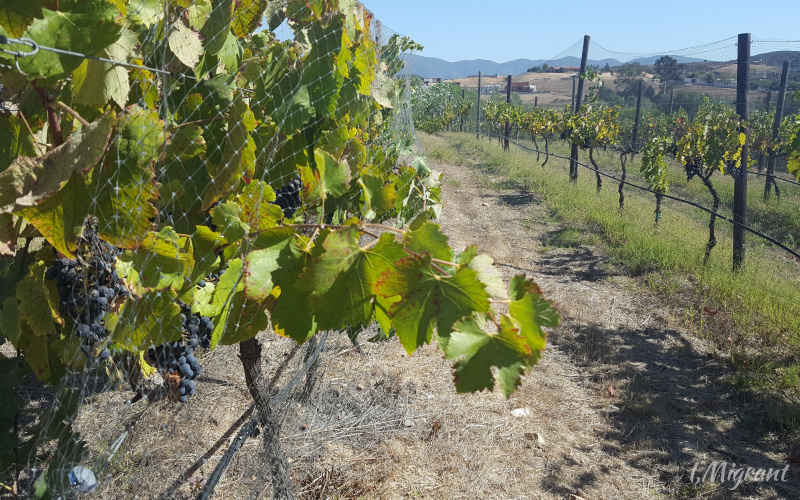 There are at least 40 different types of grapes grown in Valle de Gudalupe. Everything from Zinfandel to Nebbiolo. 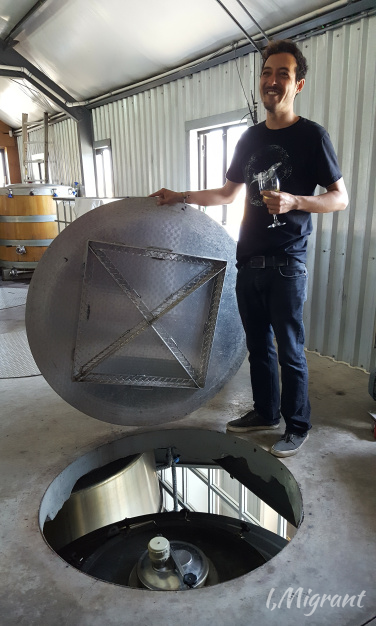 Lacking a long tradition, winemakers here experiment and create interesting new blends. It hasn’t been easy for wine producers. Water is scarce, and the climate is – challenging. But the intrepid prevail, and the industry has flourished over the last 20 years. There are now over 150 wineries – all of them experimenting, and creating their own uniquely Mexican product. 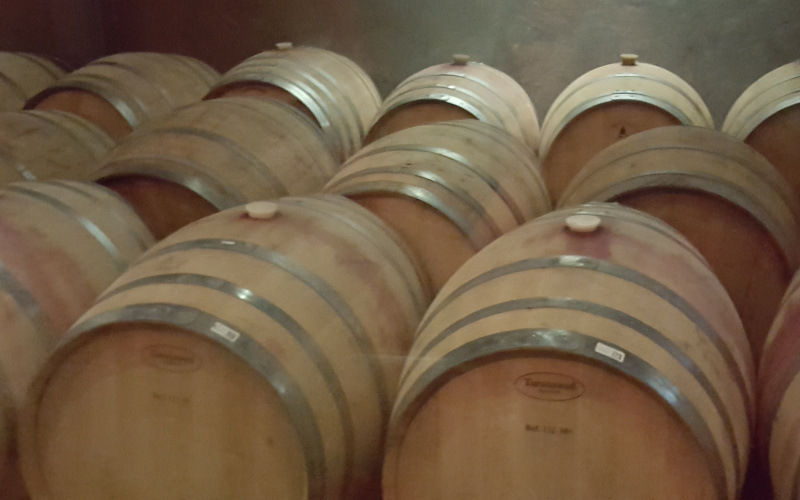 Blends of tempranillo and cabernet sauvignon, shiraz and merlot, chardonnay and sauvignon blanc. 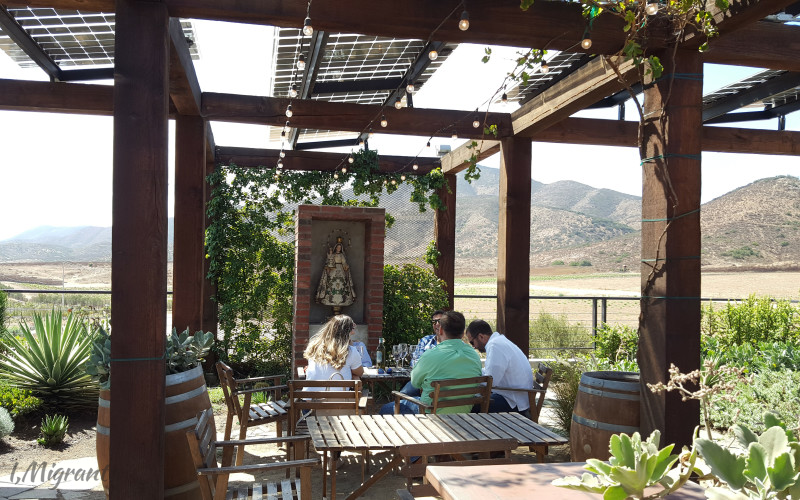 In a nutshell, Valle de Guadalupe is all about making the most of the ‘mix’. Finding virtue in the blend. Sort of like migration itself. There are even wineries that combine indigenous methods of farming with modern wine production. We met Rene in one of them. An energetic young man with dreams of making it as a film-maker. His exuberance when speaking about their wine production was intoxicating. Rene, the film-making wine guide. It was easy to see why. He worked in the area’s first certified organic and bio-dynamic winery Aside from organic faming methods, they planted according to the stars. At this vineyard, the earth was treated as living organism – capable of giving and receiving. Rene enthused that at the start of planting season, a ceremony is held timed to the lunar calendar. To receive blessings from the cosmos. They use the horn of a milking cow and fill it with quartz that’s been energised with moonlight. This is then buried in the ground to serve as a spiritual fertiliser. The telling of this tale alone was already filled with magic. But that’s not the only belief. At the core of this winery is also a strong committment to the Virgin Mary. The Virgin of the Vineyard sits at the centre of their tasting veranda, and is also on their labels. By day’s end, Violeta bid farewell to Rene with the certainty of doing it all again the following weekend. Wine tourism was growing in the valley and they were grateful for it. Violeta deposited her group of visitors back at the border. She showed them the way back to the U.S., and headed on to her next job. She was DJing a party in Tijuana. Like Baja itself, Violeta was making her own unique path in the world. Ekeing out a life between diverse realities. There are many more like her – people who aren’t limited by borders, or walls. Thriving on the cusp, regardless of star chart. Seeing themselves at home in the boundless cosmos.